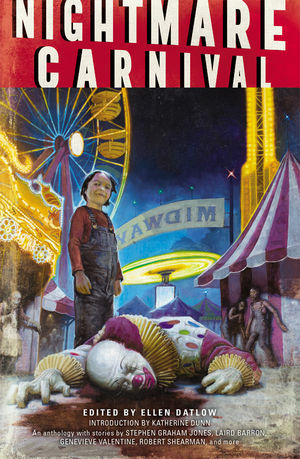 Nightmare Carnival is for sale right now in trade paperback but only through the Dark Horse website but will be out in bookstores and as an eBook on 7th October. I am chuffed to bits that I’ve been included in this collection and that it’s been introduced by Katherine Dunn, the author of the marvellous Geek Love, which I’ve raved about before. 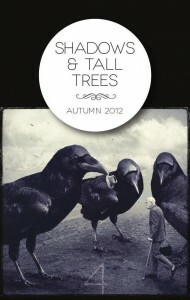 I was sad to hear recently that Michael Kelly has decided to put Shadows & Tall Trees, on an indefinite hiatus. 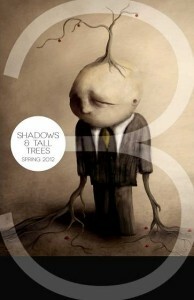 The magazine was the flagship publication of Undertow Publications (UP), an imprint of ChiZine Publications. In the space of a mere six issues it had made a big impact, garnering praise and nominations. 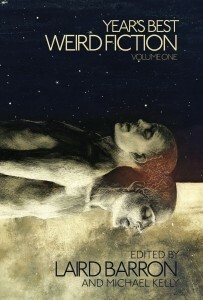 Its stories have been regularly reprinted in “Year’s Bests” and “Best of” anthologies, or else received Honorable Mentions on anthologists’ shortlists. Unfortunately, quality doesn’t guarantee sales. As you’d expect, its roll call of authors was impressive, reading like a primer of “writers to watch” – Robert Shearman, Kaaron Warren, V.H. 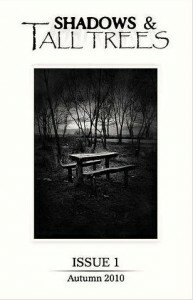 Leslie, Ray Cluley, Karin Tidbeck, Gary McMahon, Stephen Bacon, Joel Lane, Andrew Hook and Nina Allen, to name just a few. 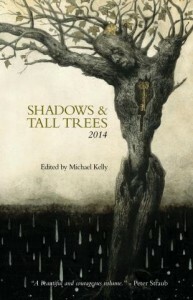 As for Michael Kelly, he’s a not only an editor, but a writer himself who is a Shirley Jackson Award and British Fantasy Award Nominee. Thankfully, Michael plans to continue with projects like The Year’s Best Weird Fiction and there will be a couple of other anthologies that he’s keeping under his hat for now. 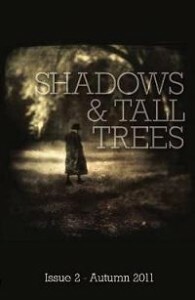 Anyway, if you’re looking for something to read you could do worse than head over to Shadows & Tall Trees and buy yourself a copy of something beautiful while it’s still available. 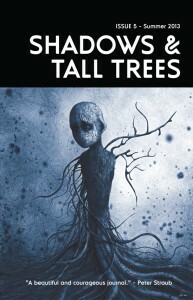 I’ve waxed lyrical about Carole Johnstone’s work before but I’m tremendously pleased that “Signs of the Times”, which appeared in Issue 33 of Black Static, won the British Fantasy Award 2014 short story category. It’s a fabulous, affecting story.